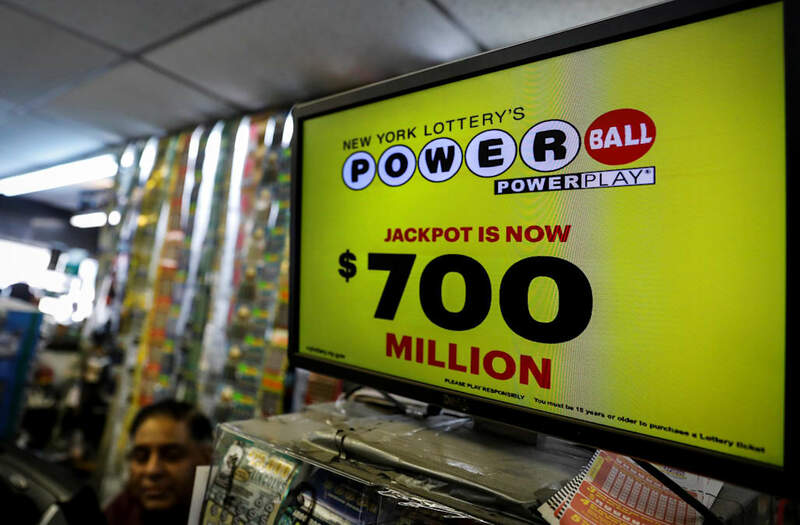 At 10:59 pm ET on August 23, a lucky winner could take home the $700 million Powerball jackpot. Most people assume winning would make them happier, but some research indicates lotto winners struggle to enjoy everyday pleasures. Some researchers think people have a "set point" for happiness, and big changes don't impact it as much as we imagine. You know what sounds pretty great? Finding out that you've won the $700 million Powerball jackpot. The lump sum minus taxes yields about $221 million to play with, depending on where you live. Divide that by two or three to account for multiple winners, and it's still a ton of money. Buying a ticket may not be a financially rational decision, but you'd still have to imagine that winning even a chunk of that money would make you super happy...right? If you're not happy already, winning the lottery actually might not make a difference in the long term. There's some fascinating research on the psychology of lotteries. Studies have shown that people are compelled to buy tickets because we have a hard time processing just how unlikely a win is and we give ourselves reasons to think we could somehow win. But perhaps most interestingly, research indicates that winning the lotto doesn't make people happier long-term. Contrary to popular myth, however, it doesn't seem to make people more likely to go on spending sprees that leave them broken and unhappy, either. A classic 1978 study on this compared 22 lotto winners to 22 control-group members (who didn't win any money) and to 29 people who were paralyzed in accidents. In general, the lottery winners reported that they were happier than the paraplegics and quadriplegics — a four out of five instead of a 2.96 out of five. The control group averaged 3.82 out of five, not significantly different from lotto winners. However, lotto winners reported getting the least enjoyment from what researchers called "mundane pleasures" — enjoyable aspects of everyday life like eating breakfast or talking with a friend. Researchers were surprised that lotto winners didn't report being significantly happier than non-winners, and that accident victims reported being above the scale's mid-point (2.5). Overall, winning the lottery didn't increase happiness as much as others thought it would, and a catastrophic accident didn't make people as unhappy as one might expect. Although 1978 analysis was a small study, a 2008 study of Dutch lottery winners reported similar findings. Those authors found that people who earned more money reported being happier (something psychologists have found is true only up to a certain income threshold), but "lottery winnings do not make households happier." The concept at play here is called "hedonic adaptation." People have been shown to return to a kind of "set point" of happiness after events that we assume will have a big impact on how we feel. "Some of us have our thermostat set to happy. Some are set to depressed. Meanwhile, others are somewhere in between," psychologist Robert Puff wrote in Psychology Today. "When we experience a major event, say winning the lottery or becoming paralyzed, our thermostat may temporarily swing up or down. But over time, it returns to its usual setting." There are things that we can do to influence our own happiness, however, including cultivating strong relationships, spending time and money on fun experiences, and exercising. Perhaps a lucky lotto winner could devote their newfound wealth to those sorts of goals. But winning itself doesn't seem to be enough to boost happiness long-term. Still, it's pretty fun to imagine what that money could be used for — a mental state some psychologists say is perhaps the best reason to play the lotto in the first place. A couple says they are living proof that doing the right thing can pay off after they found a winning lottery ticket and set out to find its rightful owner.